Properly planning and striping a parking lot is a proven way to improve safety and efficiency for customers, tenants and employees. Professional line striping services are ideal for new businesses as well as repaving and pavement sealcoating projects. The way a parking lot is striped has enormous influence on the traffic flow, pedestrian safety and general efficiency of a commercial business or residential complex. Hal’s Construction has been meeting the parking lot and striping needs of Portland, Oregon area customers for more than 40 years. There’s no better time to introduce new line striping than right after a fresh sealcoat has been applied to a worn and weary parking lot. 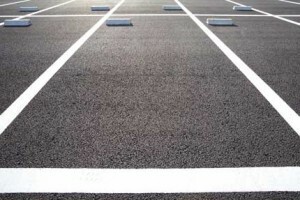 Parking lot restriping also provides an opportunity to benefit from the vast knowledge and experience of a professional asphalt paving contractor. Planning and painting the lines of a new or resealed parking lot can breathe new life into a business, industrial facility or agency. Those bright and precisely painted stripes look fantastic, and the new traffic-flow plan makes the process of doing business a pleasure. Customers just appreciate business owners and property managers who are committed to excellence. After all, the parking lot is the first and last impression that customers have of a commercial establishment. Only an experienced paving contractor has the skilled staff and professional equipment to plan and stripe a parking lot properly. Large and small businesses alike should care about the precision and clarity of their parking lot striping. If the stripes are dull or disappearing from view, it’s time to speak with a qualified parking lot restriping contractor. Professional parking lot layout and striping services can produce a superior parking and shopping experience for customers and employees. The brand of any commercial business operation can be enhanced by sealcoating and restriping customer and employee parking lots. Professional parking layout design services can also help eliminate traffic gridlock once and for all. The safety of pedestrians, especially those hard to see little ones, can also be permanently enhanced with a properly designed parking lot layout. 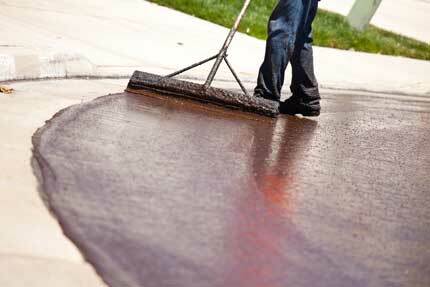 Sealing and restriping a commercial or industrial parking lot can also improve the property value of a business. Hal’s Construction has provided professional paving contractor services in the Portland area for over 40 years. Please call (503) 226-4999 to schedule a free sealcoating, striping or restriping consultation. First and last impressions really do matter. Call us today to schedule an appointment to look at your project.